There has been a lot of talk on the decline in bee numbers globally. We read about it in magazines and newspapers and we see it on television documentaries and the news, but do we really grasp the seriousness of this issue? This will have a major impact on our agriculture industry and we as farmers will suffer the most. 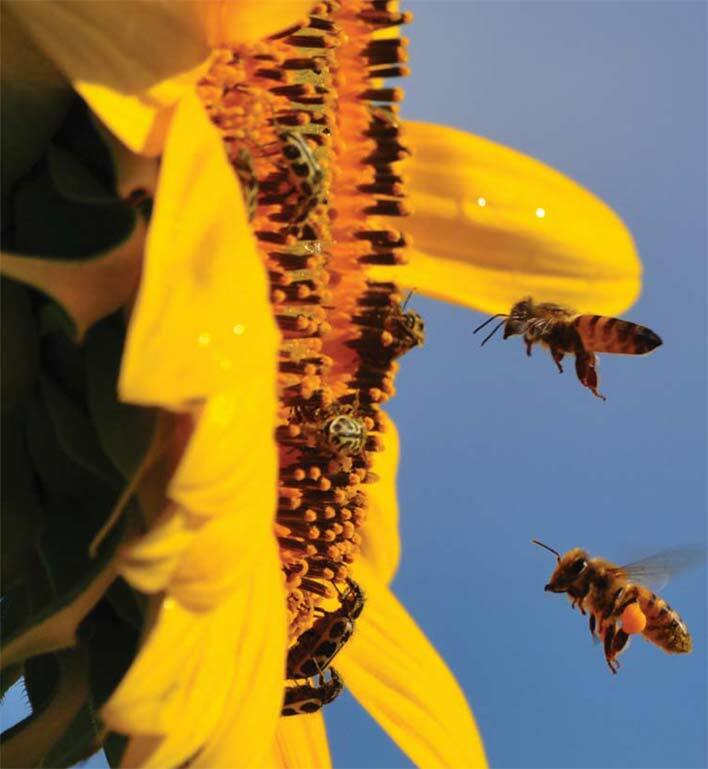 This article will outline the importance of bees and the role that they play in agriculture, especially when it comes to the pollination of our sunflower crops. Firstly, let us get an understanding of what pollination is. Pollination is the transfer of pollen from the male part of the plant to the female part which allows for the reproduction of fruit and seed. 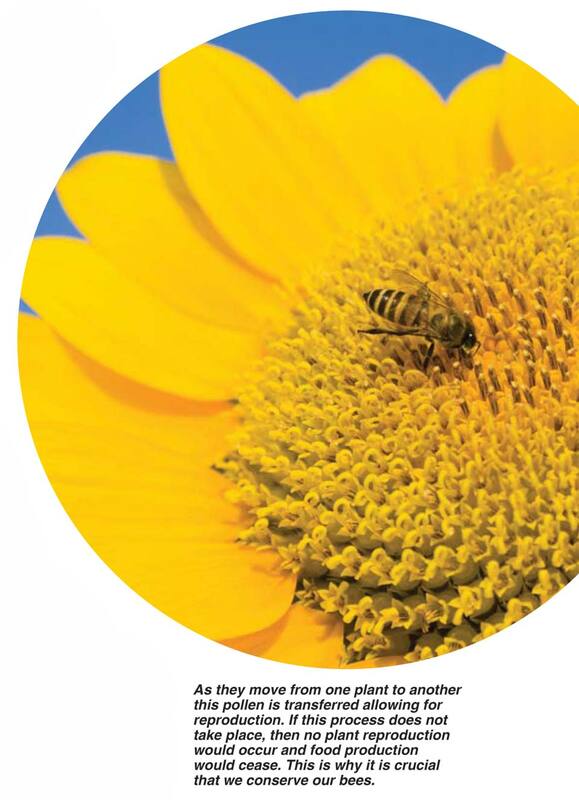 In many instances pollen is also transferred from individual male plants to individual female plants called cross-pollination, common in planted crops. Insects such as flies, wasps, butterflies and particularly bees are the carriers of this pollen. As they move from one plant to another this pollen is transferred allowing for reproduction. If this process does not take place, then no plant reproduction would occur and food production would cease. This is why it is crucial that we conserve our bees. The role that bees play in this pollination process is huge, but why are their global numbers declining? There is much debate surrounding the reason for the decline in bee numbers. Reasons range from the use of pesticides and chemicals to increases in radiation levels as a result of growing numbers of cell phones and wireless communication towers. There are many people who actually believe that it is the farmers who are partly responsible for their disappearance. We as farmers have a direct role to play in conserving and encouraging the bees on our farms, we cannot afford to be a part of the problem. Another factor contributing to losses in bee numbers is the destruction of their natural habitats and the increase in human population numbers. When humans move into an area the bee hives get removed as we often see bees as a threat. 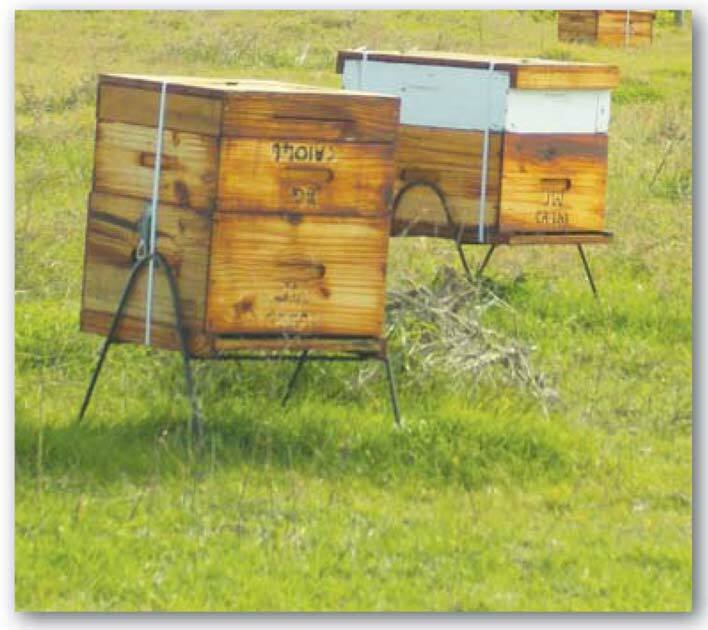 In 2010 the municipality of Barberton, Mpumalanga ordered the killing of 900 hives of bees. Dr Gerhard Verdoorn, director of The Griffon Poison Information Centre said this was not necessary as the bees could have been removed and relocated rather. He also highlighted problems arising from the misapplication of pesticides as honeybees are being killed unnecessarily with pesticides. This is problematic as these insects pollinate plants and allow fertilisation and reproduction to take place. His advice is that if bees are in an area where they do not threaten people or animals they should be left alone as they are important for agriculture as well as the natural vegetation. However, should they be a threat, it is better to have professional beekeepers move them rather than kill the bee colonies with poison. We need to start seeing bees as a valued asset rather than a threat if we want to start seeing a change in these global trends. Sunflower is the third largest grain crop produced in South Africa and is a highly valuable commodity for the consumer market. Sunflower is primarily used for the manufacturing of sunflower oil for human consumption and oil cake for animal feed. South Africa produces about 700 000 tons of sunflower annually. In order to achieve good yields, the farmer needs to take good care of his crop. This means implementing correct che mical weed and pest control as well as good fertiliser application. These are all well-known principles, but what farmers are realising more and more is the importance of good pollination in achieving better yields. Sunflowers perform well when there is good pollination. To make sure that this is achieved many farmers hire bee hives from beekeepers to place in their sunflower lands which ensure their crop is well pollinated. In past decades this may not have been necessary due to more bees being present to perform their task, but today this is becoming common practice and has evolved into good business for bee keepers. If we can conserve the bees in the natural environment and strive to increase their numbers again, then perhaps farmers will be able to save on the expense of hiring bees. What can farmers do to protect the bee population? So, the question is asked, what can we as farmers and home owners do to mitigate this natural disaster and protect the bee populations? When a swarm of bees enters our living environment, the first instinctive action is usually to destroy the swarm with little consideration of what impact it will have on us. Rather than killing the bees by fumigation and use of pesticides, we should take heed of Dr Gerhard Verdoon’s advice; it would be better if we moved the swarm or made the living condition surrounding their hive unpleasant for the bees so that they would remove themselves. There are many experts such as professional bee keepers who have the knowledge and equipment to re-locate bees. Most of them would be happy to move the hive if requested to do so. If you are unable to get hold of such an expert the next option would be to smoke the bees out of the area. This can be done by burning green matter such as green leaves, near the hive which will create thick smoke and therefore encourage the hive to move on. Please take note: It is VERY important to be careful when doing this! Keep well clear of the area and make sure that no children are playing in the surrounding area. As farmers it is also important to use pesticides which are ‘bee friendly’. Enquire from your local chemical representative regarding the best options. Always be considerate of nature when using any chemicals in your farming operations. It is our responsibility as farmers to be custodians of nature and all that is within it. In nature everything is connected and when we remove one piece from the puzzle there will be big consequences down the line. Always remember that without bees many of our crops go un-pollinated. This is the last thing that we want, especially in a world where the demand for food is continually growing.